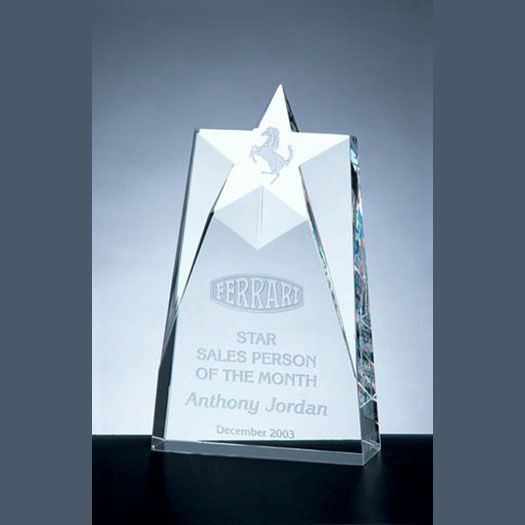 Product Description: This optical crystal supreme star award stands tall with a flat polished face perfect for engraving your text and/or logo, it will make great award to present. Pricing Notes: Text and/or logo engraving, on one location is included in the price. 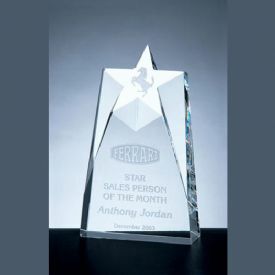 Engraving text and/or logo on additional locations is available at an additional charge. Please see options below.